Cast iron sign. White lettering on black background. 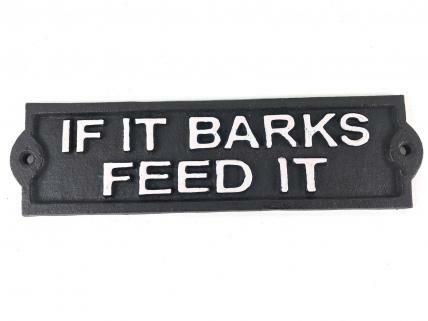 "If it barks feed it"